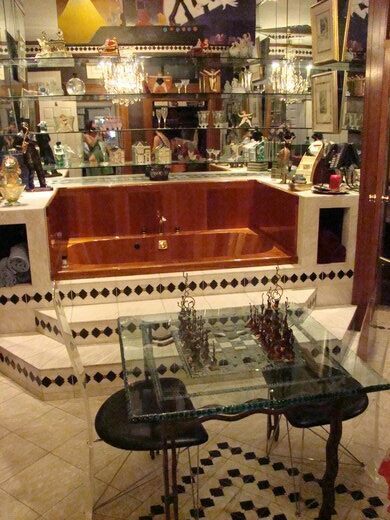 One the many bathrooms in the Mansion. 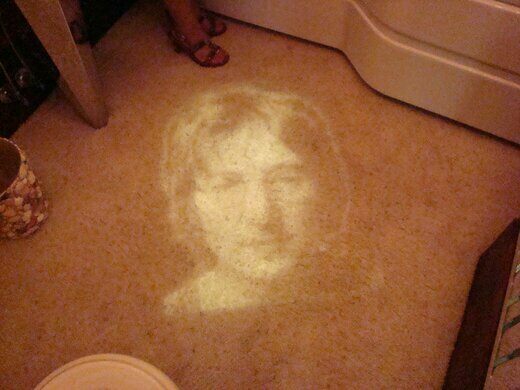 Projected with light in the bathroom adjoining the "John Lennon" bedroom. 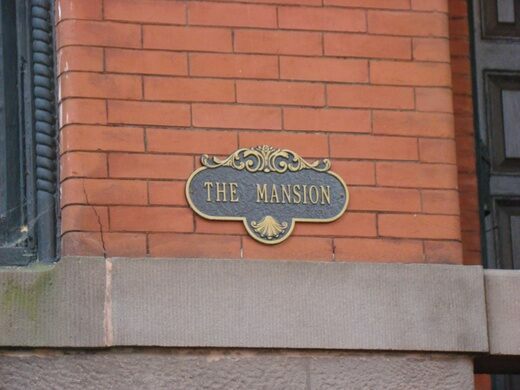 The Mansion on O Street, near Dupont Circle in Washington, D.C., was founded by H.H. Leonards-Spero and opened on Valentine’s Day, February 14, 1980. The house itself boasts “over 100 rooms and 70 secret doors” spread throughout four maze-like floors. Part of this elaborate layout is due to the strange design of the mansion, which is not a mansion at all, but actually four row houses opened to one another and turned into one elaborate hotel/museum/private club. 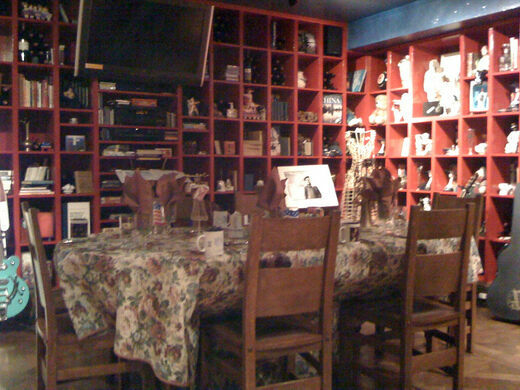 Though a few items are part of the O Mansion’s “permanent collection,” most of the many thousands of items piled throughout the mansion’s themed rooms (many of which are acquired from local junk shops and garages sales) is for sale, including the thousands of books on the numerous floor-to-ceiling bookcases. Because the Mansion also functions as a hotel, not all rooms will necessarily be open to the public at the time of your visit. Even so, a self-guided tour of the house can still take hours. Each themed room—some themes include a log cabin room, the French Renaissance room, and the Billiards Room—contains hundreds of pieces of art, books, and other “treasures” to examine and ponder. The mansion also includes also a large amount of Beatles and John Lennon memorabilia, including a Sgt. Peppers jukebox in the John Lennon Room. Be sure you locate the hidden door to the impressive “wine cellar” before you go. And no, that’s not the Amnesia room, which itself displays a large wine collection. 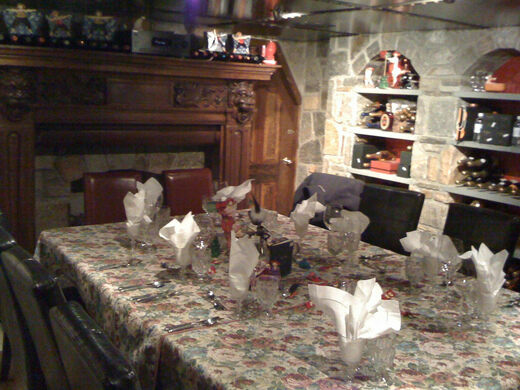 The Mansion on O & O Street Museum also features concerts, private dining, receptions, weddings, Mitzvahs, meetings, and events, as well as their popular tours and Treasure Hunts, all of which must be booked online. The O Mansion is open to the public daily for tours from 11-5pm, based on availability, with the last tour starting at 3pm. Online reservations are required.